Home » Posts » Blogs » What are the differences between LASEK and LASIK? 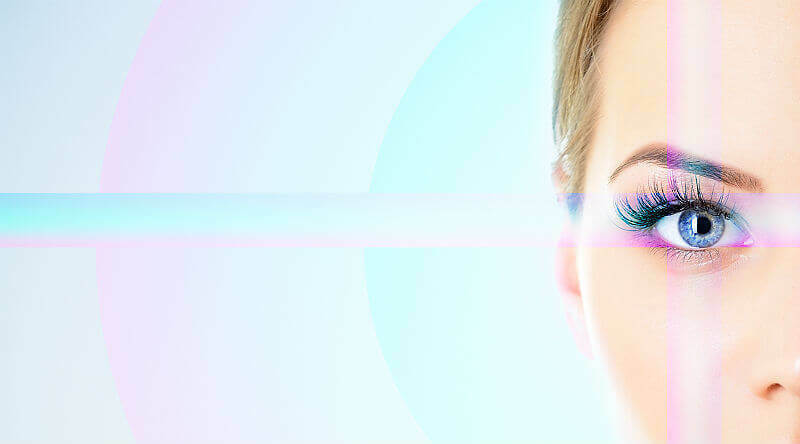 When it comes to laser eye surgery treatment, it is LASIK vs LASEK. There are two main types of laser eye treatment: LASIK (Laser-Assisted in situ Keratomileusis) and LASEK (Laser-Assisted Sub-Epithelial Keratectomy). When patients begin to research the possibility of laser eye surgery in their case, the two different types of treatment can cause confusion. There are important differences between the two sorts of treatment, and it is wise to do some reading up on the similarities and differences before approaching a surgeon for an initial consultation. LASIK is the most popular and commonplace type of laser eye surgery carried out in the UK. Approximately 90% of laser patients undergo this treatment and there are many good reasons why it may be preferable. LASEK is the preferred laser treatment for the other 10% of patients whose corneas are thinner than the average, and for those who have irregularities in the shape of their corneas. Surgeons will be able to advise if this applies in a particular patient’s case. The LASIK correction performed by AVC has changed my life. After wearing glasses and contact lenses for the last 25 years, it’s incredible to wake up every morning and be able to see everything! My prescription was -8 and it’s credit to the team at AVC that I now have my vision fully restored! Outcomes are excellent for both of the methods, and as the same laser and wavefront technology is used for both procedures, the end result does not vary according to whether the patient undergoes. Both treatments have their pros and cons. If a patient is recommended for LASIK treatment, a small flap is made in the cornea, which is the curved outer surface of the eyeball. The laser is then used to treat the deeper layers inside the cornea to resolve the sight difficulties, and finally the flap is replaced to allow the tissues underneath to start healing. Immediately following LASIK surgery a protective soft contact lens is placed on the eye for 24-48 hours. This is removed by your surgeon at your first aftercare appointment. LASEK treatment differs in that the epithelium, the outermost layer of the cornea is treated with a special alcohol solution and is moved aside. The laser treats the underlying tissue, but the LASEK procedure does not penetrate the cornea as deeply as LASIK laser eye surgery. After LASEK treatment, the surgeon will fit a type of contact lens to the patient’s eye to act as a protective bandage for the cornea whilst the epithelium layer heals and regenerates. This contact lens stays in place for around four days and is then removed, although it might take as long as a week for the patient to feel the full visual benefits of their eye surgery. The visual outcome is the same with both these laser eye surgery procedures but it takes slightly longer to reach with LASEK laser eye surgery than with LASIK eye treatment. With LASIK, the recovery time is quicker and more comfortable, and most patients feel the full benefit of their new vision after 24 to 48 hours, meaning less time away from work and other day to day tasks. Interested in LASIK or LASEK Treatment? Call AVC on 020 7935 7497 today to find out more about both treatments and our transparent costs, or why not arrange a consultation where our surgeons can recommend the most suitable vision correction procedure for your individual eyes.